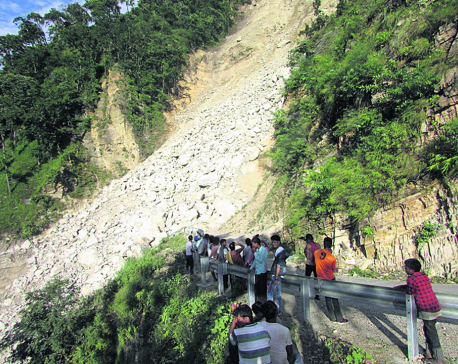 Passengers marooned along the Karnali Highway on Monday after debris from a landslide that occurred two days ago blocked the road. 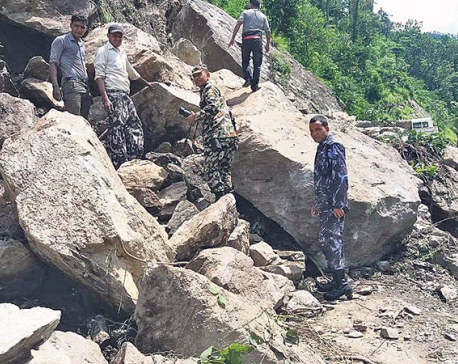 KALIKOT, Aug 8: A massive landslide that occurred near Manma, the district headquarters of Kalikot, has brought transportation along the Karnali Highway to a grinding halt since the past two days. Public vehicles and consignment trucks en route to Surkhet from Jumla have been stranded in Tadi Buspark. All attempts to clear obstructions have remained futile so far, according to Road Divisional Office, Surkhet. 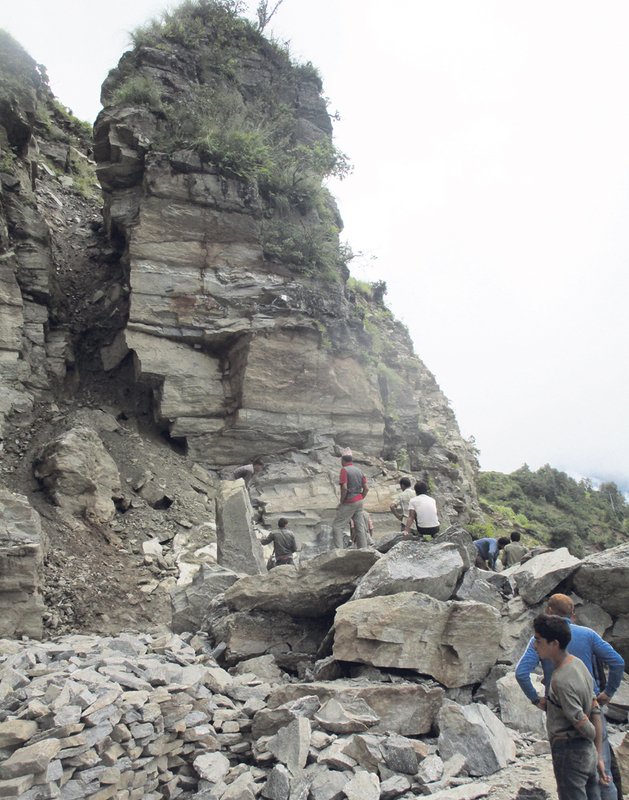 The landslides let loose rocks and mounds of earth from Tadi cliff, blocking about 15 meters of the road section. As there are no alternative routes, clearing the debris is the only solution. "The massive amounts of rocks and mud can only be cleared using excavators. However, we have not been able to find one," said Aan Singh Bhandari, in-charge of District Traffic Police Office (DTPO, Kalikot. The failure to find earth moving vehicles even after two days of landslide has frustrated the stranded passengers as the roads are likely to remain obstructed for another week. Locals and stranded passengers are demanding that Nepalese Army use explosions to clear the obstructions.